These easy Taco Breakfast Squares are a delicious way to use leftovers in your morning routine. This delicious breakfast can be made the day ahead to save time too. We have gone into full blown school mode around here. School supplies have been purchased. Is it just me or do kids have more and more things added to their lists every year? Say hello to a shopping cart full of notebooks, binders, and pencils and goodbye to all the fun baking money for the month. There is only one more full week of summer vacation left here. I really feel like the kids just got out. Where did the summer go this year??? It’s no secret around here that I don’t like to get up in the morning. Thank goodness my kids are old enough now to get up with their alarms and to get ready without me monitoring every single minute. They are even big enough to get their own breakfasts. Toast, poptarts, cereal, and toaster strudels…yup, plenty of the easy stuff that they like. Now there are the days that I will make muffins or donuts the afternoon before so they can have those the next morning. Not that I couldn’t get up and do it that morning, but my body doesn’t function so well first thing. And you kind of need to be alert when baking yummy stuff. Wouldn’t want to grab the wrong ingredient or something. Plus a hot stove and a sleeping person isn’t the best combo. I am always on the lookout for fun things that I can make the day before and refrigerate for early morning breakfast. The other night we had tacos and so we had extra taco meat in the fridge. And I had another tube of Pillsbury crescent rolls, because I have kind of been in love with them lately. 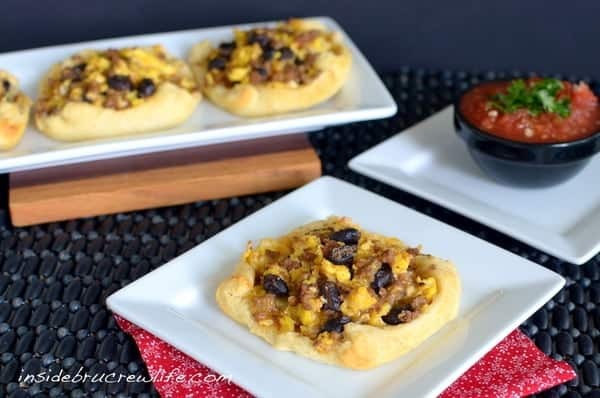 Scrambled eggs and leftover taco meat happens to be a huge favorite of mine, so it got me thinking on how I could incorporate it into something the kids could reheat easily. 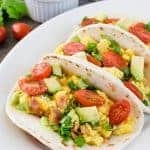 Bake this yummy taco egg mixture up in a crescent roll and you have super easy breakfast that can be enjoyed right away, or you can reheat it the next day for a quick and easy breakfast. By folding the edges of the rolls up just slightly on the edges, it keeps the mixture together just a little bit better!!! Don’t worry about it looking perfect. They will disappear quickly before anyone even notices!!! 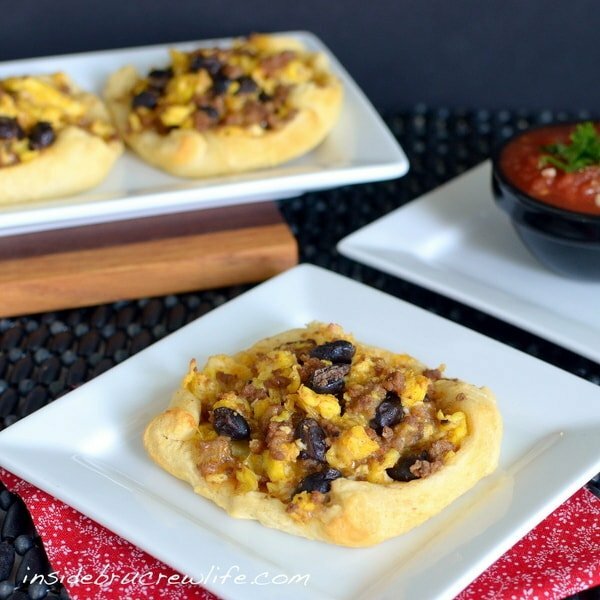 Crescent rolls filled with scrambled eggs and taco meat makes a great breakfast. Cook the hamburger and onion in a saucepan until fully cooked. Add the taco seasoning and water and bring to a boil. Lower temperature and simmer for 2-3 minutes. Set aside. Scramble eggs in another saucepan. Combine eggs, taco meat, beans, and cheese. Unroll the crescent rolls. Separate into 4 rectangles. Press the seams together. Cut each rectangle into 2 squares. Place 2 spoonfuls of eggs onto each square. Roll the edges of the dough up just slightly all around. Press together to hold shape. Top each square with more egg mixture, so each one is full. Bake at 375 degrees for 12 minutes. Cool on a wire rack. Serve immediately or refrigerate and reheat the next day. I am so making these next week!! Sounds super yummy! Yum. I would never have thought to put the two together! LOVE it! I’m not much of a morning person either…need a gallon of coffee to get moving! YUM! 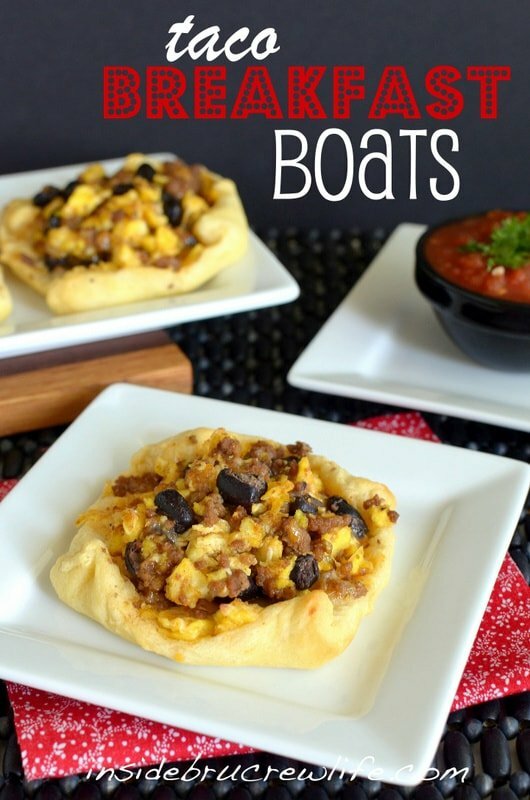 I am a total savory breakfast lover so these taco breakfast boats are right up my alley!! i love using up any leftovers by creating a whole new dish. This is so creative! I love it! I love these – if only my kid would eat them. Oh well, more for me! I am not a morning person either but lucky for me my children are grown and married so I don’t have to worry about getting them off to school. I like to make things ahead for breakfast too because I get up with my husband (5:30) and eat a good breakfast with him. Then I go back to bed. Sorry you had to spend so much baking money on school supplies. Did you see those notebooks in Walmart for .17? Yes!! .17 a piece. I bought a ton of them because I am always using paper for something. And the composition notebooks are only .50! They are lots of fun to alter and give as gifts. soooo creative and my daughter would go nuts for these on a pre-school morning – you are such a good mama to make something like this! 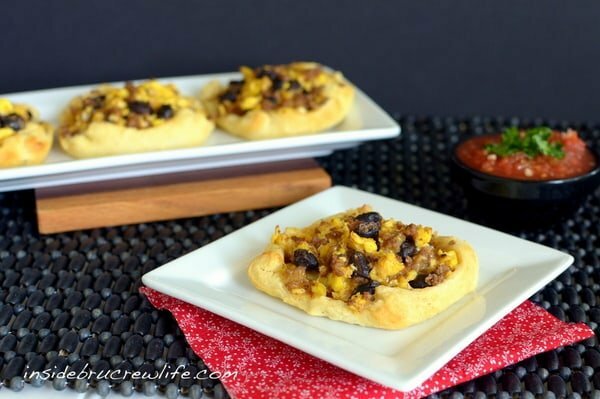 A couple of my best recipes use crescent rolls – love em! Nice! 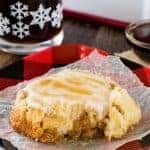 These look easy to make! Love quick and easy breakfasts too! I can’t believe your kids go back in a week! Summer went by fast. 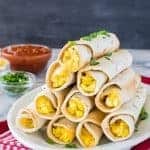 My kids request tacos weekly, I think they’d love this breakfast. This may get my son out of bed a little quicker! 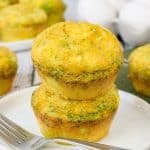 I can imagine these topped with some avocado and a little hot sauce – they would make for a good morning! They look fabulous! 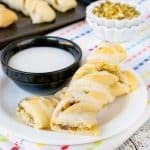 I have been using so many crescent rolls lately…love them!!! Haha my kids love to eat toaster strudels too!! What a fantastic breakfast idea! I love the combination of flavours, Mexican-inspired foods are a favourite in my home any time of day! What a great idea! We’ll be starting kindergarten next week, so I’m looking for some easy ideas as we get started in our whole new routine. 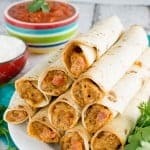 I almost always have leftover taco meat and crescent rolls in my fridge, so we will definitely have to give this a try. A really special breakfast dish.. I would love if you would share it on my foodie friday party today. Yum! Those look delicious! Would you consider linking this up at my Pinworthy Projects Party? I hope to see you there! Made these using scrambled eggs bacon and cheese with black olives. Everyone loved them! That sounds like a winning combo! Thank you so much for sharing with me!! !